Restored 1975 Suzuki T500M Motorcycle. 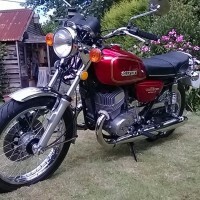 This great T500M was restored to a show standard by its owner. The engine was stripped and bored to + 0.5 mm. The engine outer alloy casings, heads and barrels were all vapour blasted and polished. 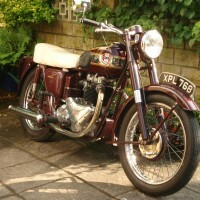 The carburettors were vapour blasted, serviced and the float heights set to the original specification. The wiring was loom stripped and any substandard wiring was replaced in the correct colour and rebound in non adhesive black PVC tape as per the original. A new modern rectifier was fitted. The handlebar switches were stripped, serviced and repainted black. New front and rear brake light switches were fitted. The original silencers were chrome cleaned, buffed and polished. 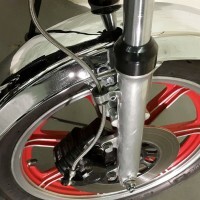 The frame, battery box, airbox, swing arm, side & centre stands and front footrests were powder coated black. All of the chrome work was re-chromed, including the exhaust downpipes. 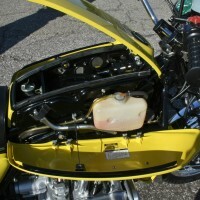 The fuel tank, oil tank and side panel were replaced. 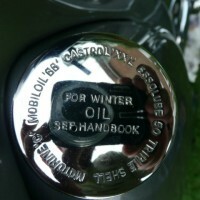 A new old stock chrome fuel cap was fitted. New correct paint was finished with new decals. 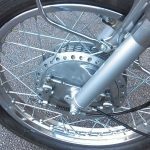 The alloy hubs and brakes were stripped and polished. The seat base was repainted and recovered with a genuine cover. A beautifully restored 1975 Suzuki T500M Motorcycle. 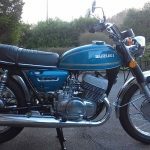 Suzuki T500M – 1975 For Sale or Wanted? 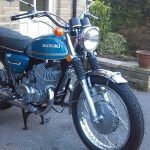 If you're looking for the perfect Suzuki T500M – 1975 for sale then take a look at the hundreds of restored classic motorcycles listed on our extensive Motorcycles For Sale pages. 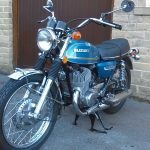 We regularly feature very nice restored Suzuki T500M – 1975 bikes for sale. 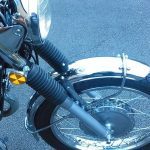 Spares and Parts for your Suzuki T500M – 1975? 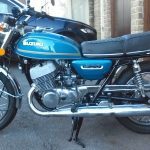 Workshop Manual for your Suzuki T500M – 1975?